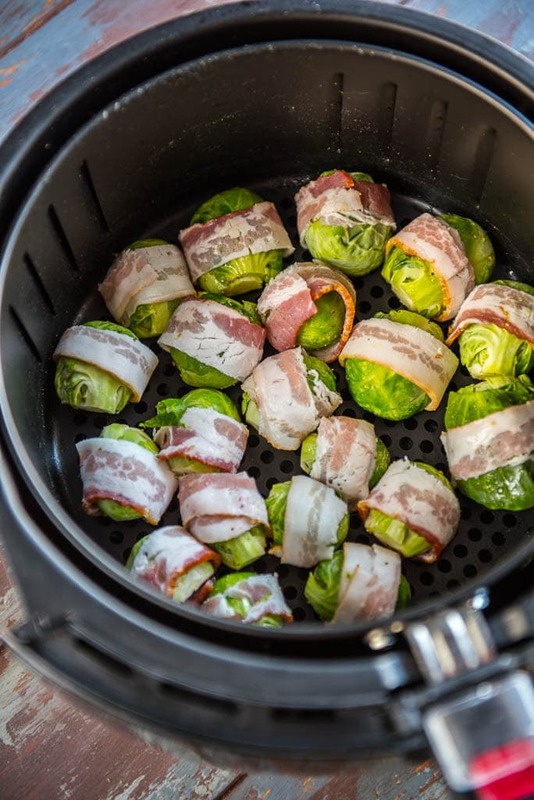 If you struggle to eat your veggies because you think they’re boring or difficult to make, then it’s time to try these Air Fryer Bacon Wrapped Brussels Sprouts! Easy to make, tender and bursting with flavor, you’ll have everyone begging to eat their veggies! I believe that eating healthy is all about balance. It should be nutritious, tasty and delicious! And for that reason, I’m setting out to create a whole new batch of recipes that are easy to make and include a fun new twist on the average family dinner. 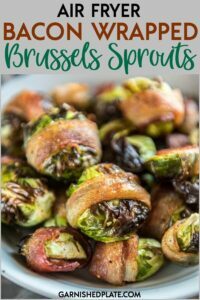 These Air Fryer Bacon Wrapped Brussels Sprouts are so quick and easy to make, and tasty enough that the whole family will want to try them! 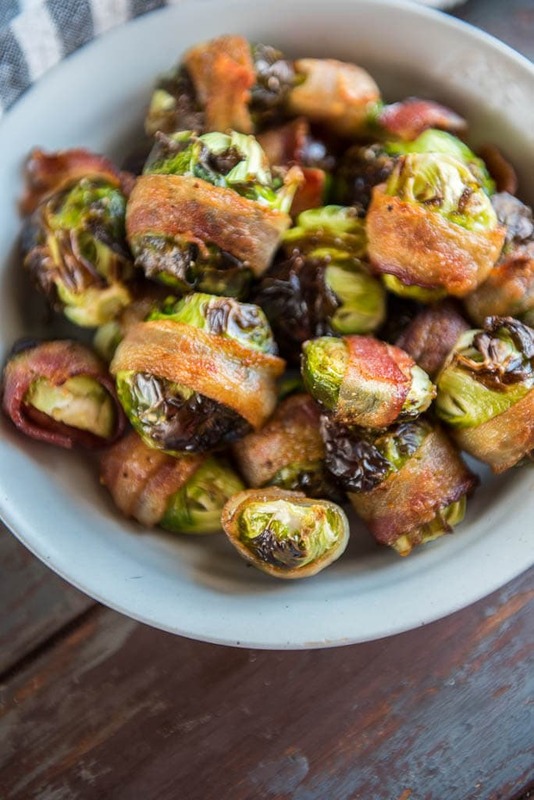 What kid wouldn’t eat veggies wrapped in bacon?! The only real question is, do you want to share?! Seriously, that’s it!! 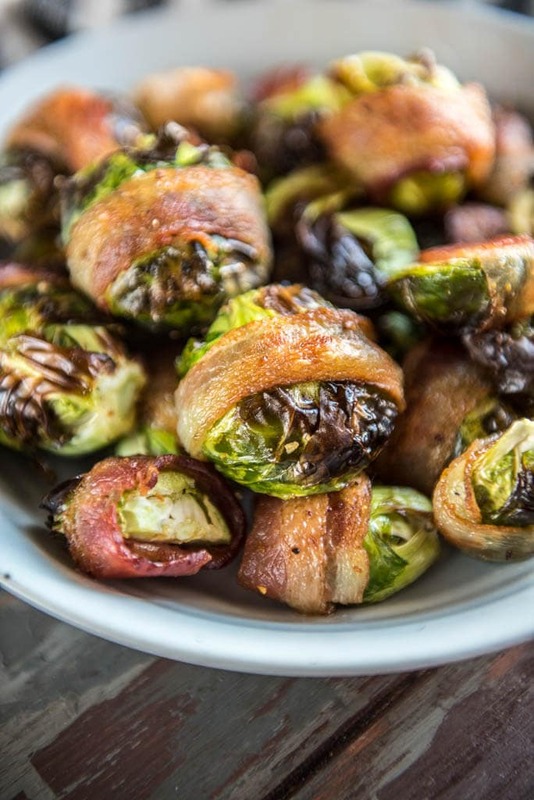 It going to be a really tough toss up as to whether I prefer this version to my Chipotle Roasted Brussels sprouts. 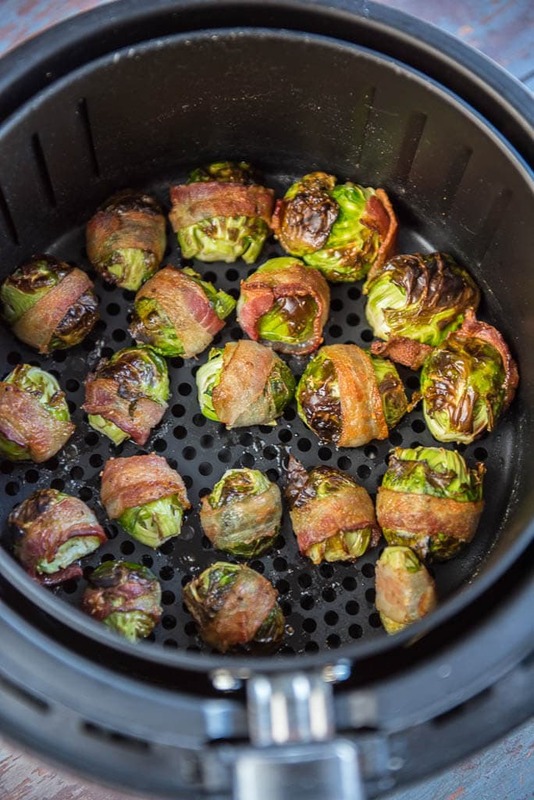 The thing I love about air frying these Brussels sprouts is that they are done so quickly! Plus, they are really easy and require such little effort or clean up. Just follow my few simple tips to ensure they turn out easily for you as well! 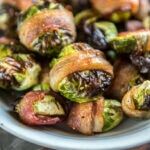 If you struggle to eat your veggies because you think they're boring or difficult to make, then it's time to try these Air Fryer Bacon Wrapped Brussels Sprouts! Easy to make, tender and bursting with flavor, you'll have everyone begging to eat their veggies!